PHUKET: Kamala Festival 2012 got underway this morning with a fishing competition on Kamala Beach. 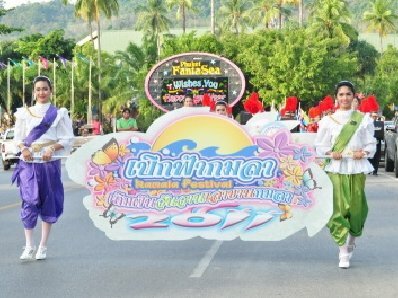 A wide variety of fun activities throughout the weekend are expected to draw tourists and residents from across Phuket. Organized and funded by the Kamala Tambon Administration Organization (Kamala OrBorTor), the center of activities is Chalermprakiat 100 Pee Park on Kamala Beach, where staged events will take place throughout the weekend and on Monday. 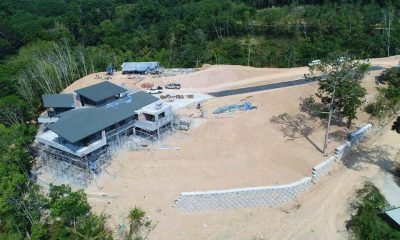 “There will be lots of fun, local sports and stage performances by students and famous singers,” he added. People joining the fun today might want to bring an umbrella, just in case. The 24-hour forecast by the Meteorological Department calls for scattered showers covering 40 per cent of the province, with Easterly winds prevailing.